Chandra has been a partner with Rajah & Tann Singapore LLP for more than 20 years with an active practice in commercial litigation. He is the key contact with regards to the Middle East disputes and is the Head of the Commercial Litigation Practice Group and the Private Client Practice Group. 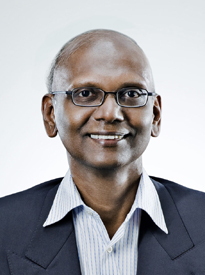 Chandra graduated from the National University of Singapore (NUS) with a LLB (Hons) in 1986 and then obtained his LLM from the University of Cambridge in 1989. He was awarded the Law Society of Singapore Book Prize and B.A. Mallal Prize for academic distinction in Law School. He was also a member of the NUS Team that won the International Division of the Philip C Jessup International Law Moot Competition in Washington DC in 1986. He later returned as a lecturer at the Faculty of Law, NUS, where he taught Securities Regulation and Conflict of Laws. Alongside his active practice, Chandra has been appointed as a Member of the Citizenship Committee of Inquiry by the Minister for Home Affairs. He is also a Fellow of the Singapore Institute of Arbitrators and the UK Chartered Institute of Arbitrators. He remains very active as a Council Member in the Northwest Community Development Council (NWCDC) and the Chairman of the Finance Committee, NWCDC as well as Chairman of the Organising Committee for NWCDC Food Aid Fund for needy residents from 2010 to 2016. In recognition of his commendable contribution towards community services in Singapore, Chandra was presented with Bintang Bakti Masyarakat (Public Service Star) (BBM) and the Pingat Bakti Masyarakat (Public Service Medal) (PBM) at the 2015 and 2011 National Day Awards respectively. To-date, Chandra is active in his alma mater where he previously served on the ACS Board of Governors from 1996 to 2015 and currently sits on the Anglo-Chinese School (International) Board of Management. Chandra has a wide range of experience in various types of arbitration and commercial litigation work with special emphasis on professional negligence claims, shareholders’ disputes, employment disputes including minority oppression actions as well as property disputes. He acts for clients in a number of cross-border arbitration proceedings and also handles family matters including divorce proceedings, probate and trusts. Acting for the Claimants in arbitration proceedings under ICC Rules relating to the termination of a construction contract and lease agreement in the Philippines. The quantum involved in the arbitration proceedings is expected to be at least US$7.5million, and notwithstanding other types of declaratory relief sought, could increase to encompass a substantial portion of the value of the lease agreement. Acted in a claim by an international group of companies against a Sri Lankan institution in respect of the termination of a sports agreement. Acted for the Respondents, Nimbus Sport International Pte Ltd, in arbitration proceeding under the UNCITRAL Rules. Acted for the Claimants in an arbitration commenced pursuant to section 91 of the Co-operative Society Act read within the Arbitration Act. Acted for the Claimant in ARB53/09/CV. Acted for the Respondents in ARB87/11/AU. Acted for the Claimant in ARB128/09/JW. • Acting for several defendants in two oppression actions brought by Sakae Holdings Limited under section 216 of the Companies Act. The claims being brought by the plaintiff shareholder includes breach of directors' duties by de facto, de jure and/or shadow directors, breach of a joint venture agreement, breach of trust, breach of the Companies Act, and knowing receipt. Among the reliefs sought are liquidated damages amounting to approximately S$40 million, various declaratory reliefs, and a share buyout. Acted for an individual client in commencing divorce proceedings, which were later discontinued. The client's assets are valued at approximately S$63 million. Advised an individual client on the circumstances under which Singapore will be considered forum non conveniens in relation to a divorce and the applicability of pre-nuptial agreements in Singapore. Acted for the executor of an estate in extracting a grant of probate. The market value of the estate as of the date of the testator's death was approximately S$5 million. We subsequently acted for the executor in the distribution of the estate. Acted for 13 beneficiaries in a claim brought by another beneficiary in respect of the estate of their deceased parent / grandparent. Acted for various RMC suppliers in contractual disputes arising out of the sand ban. Acted for Nimbus Media Pte Ltd (Nimbus) in contractual dispute pursuant to a media sales agreement. Acted for and successfully defended Koh Brothers Group Limited and its related companies in a multi-million dollar shareholders' dispute in relation to a joint venture in China. The plaintiff sought leave under s 216A of the Companies Act to bring an action in the name of the joint venture company against its directors and other companies in respect of monies which the plaintiff alleged were wrongfully transferred to them. The High Court dismissed the plaintiff's application as the defendants proved that the plaintiff was not acting in good faith and that it was not in the interests of the company that the action be brought. Acting for 2 defendants, being a Singapore company under voluntary members' winding up and its liquidator, in relation to a dispute involving EUR 3.3 million for alleged illegal fishing in Comoros waters. The plaintiff is the Government of Comoros. The plaintiff was the claimant and the 2nd defendant (the Singapore company) was the alleged respondent in proceedings commenced in Comoros. The plaintiff is now attempting to enforce the said Comoros judgment in Singapore. This case raises interesting issues in relation to the recognition and enforcement of a foreign judgment in Singapore under common law and would address the validity of most, if not all defences applicable thereto. Acted for 5 defendants being various Liechtenstein foundations and one Panama Corporation in relation to a dispute involving US$16.8 million and GBP4.2 million that were deposited in an account with WestLB AG and which was alleged to be ill-gotten gains of the late Ferdinand E. Marcos. The claimants to these sums are the Philippines National Bank, the Republic of Philippines, a class of Human Rights Victims, four Liechtenstein foundations and one Panama Corporation. Contribution to “Singapore Precedents of Pleadings” published by Sweet & Maxwell in 2006. “Some Contractual Approaches to the Problem of Inconsistent Awards in Multi-Party, Multi-Contract Arbitration Proceeding”, jointly written with Lim Wee Teck, to be published in Vol. 1, No. 2 of the Asian International Arbitration Journal published in November 2005, updated in 2009.